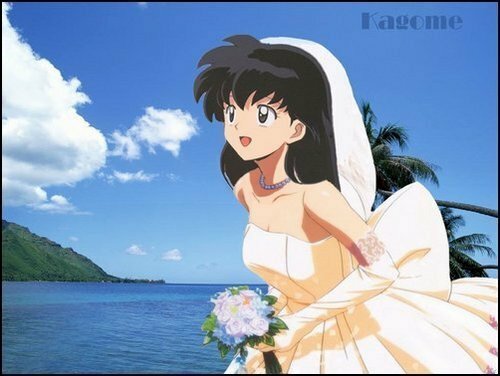 Kagome's wedding jour. who's she runing to? Koga ou Inuyasha. Wallpaper and background images in the Inuyasha girls club tagged: kagome koga inuyasha.